Your tax-deductible gift saves lives in Haiti. 87¢ of every dollar goes directly to our programs. 8¢ goes to keeping the lights on. 5¢ goes to raising the next dollar. Learn more. $25 Can medicate 5 women to stop postpartum hemorrhage. $320 Can pay a full month’s salary of a skilled birth attendant. $100 Can provide 10 women with prenatal care in rural Haiti. See more giving ideas in our Gift Catalog. Every woman and baby deserves to survive pregnancy and birth. Your support saves lives. 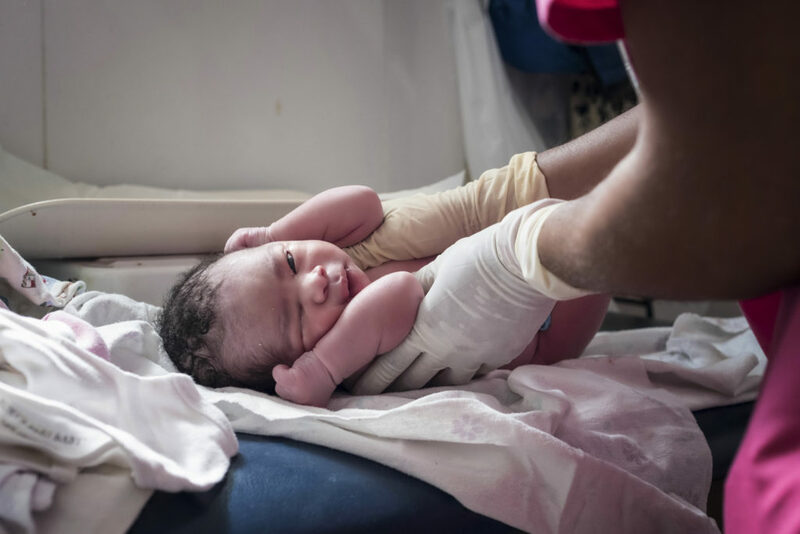 Midwives For Haiti is a 501(c)(3) and all donations are 100% tax-deductible in the U.S. You will receive a receipt and we don’t share your information with anyone. Our EIN is 27-2368581. Mail a check to: Midwives For Haiti, 7130 Glen Forest Ave. Suite 101, Richmond, VA 23226. Questions about donating to Midwives For Haiti? Email info@midwivesforhaiti.org or call 804.545.6882.